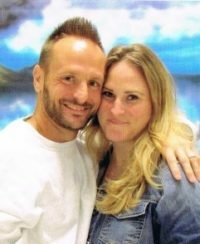 My name is Carl Ferebee III, I’m a fresh 41yrs old(lol) I’ve been incarcerated since 2014 and my release date is 6/11/19. I’m finding it a little hard describing myself. I’ll start with I’m a proud father of 2 beautiful children 20 and 18. My son is twenty and my daughter is 18. I’m 6ft 225lbs. I’m a true family man, spiritual at heart I enjoy helping people that really need it in what ever form the help may come. My girlfriend of 10yrs passed 2 weeks into my incarceration so needless to say that has been hard to deal with. Oh, I almost forgot to say that this is my first time being incarcerated. I have so much running through my head now, I’m trying to think of things to say. I guess I’ll have time to get all my thoughts out eventually thanks to your blog. I really have a lot of things on my mind I would love to share about my experiences these last few years. I have to say my brother Kevin’s girlfriend Carmen gave me the idea to write about my feelings which needless to say as a man I didn’t really want to talk about feelings but in truth somebody may need to hear what I have to say. God uses everybody. Case in point the very next day after Carmen made that suggestion in cut mate told me about what he had been blogging out of nowhere. You have to understand we don’t even speak to each other for real so that was conformation for me and look at me now expressing myself (lol). With that being said that’s all I have for now but I look forward to writing more in the future. Thank you for this opportunity. Kevin is speechless right now after reading this. Carmen is smiling from ear to ear. Proud doesn’t start to describe the joyous feel when reading your expression. Way to take a step forward and taking a chance on yourself, keep expressing, keep writing and we’ll keep reading!!! Carl looking forward to hearing more from you.. Please send this guy my best wishes for his release. I hope things go well for him. May you find peace of mind and bliss on your journey. Thank you for sharing.